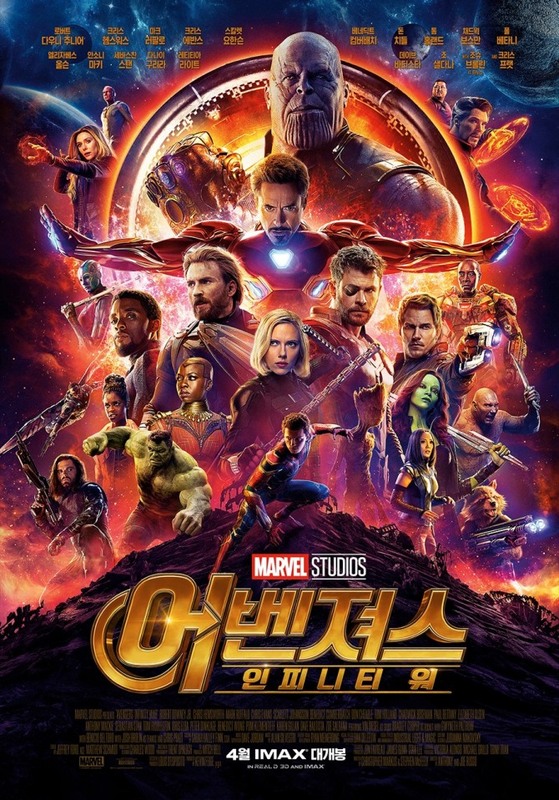 A campaign urging fans to refrain from spreading spoilers for the upcoming film “Avengers: Infinity War” has landed in Korea, with a screening event for the movie’s highlights to take place Wednesday. The photo of the letter was accompanied by what appeared to be the film’s villain Thanos, a powerful alien in the Marvel Cinematic Universe with the nickname “Mad Titan” and a plan to cause destruction and chaos around the universe. The hashtag “ThanosDemandsYourSilence” reminded fans not to spill the beans on the highly anticipated film. “Avengers: Infinity War” will hit local theaters on April 25. It is expected to be a gem of the Marvel Cinematic Universe, a superhero film franchise of characters from Marvel comics like Captain America, Iron Man, Hulk, Thor and Spider Man. With the movie’s opening weeks away, fans across the world have been buzzing with anticipation and speculation about the film, such as which of the Earth’s mightiest heroes might be killed.